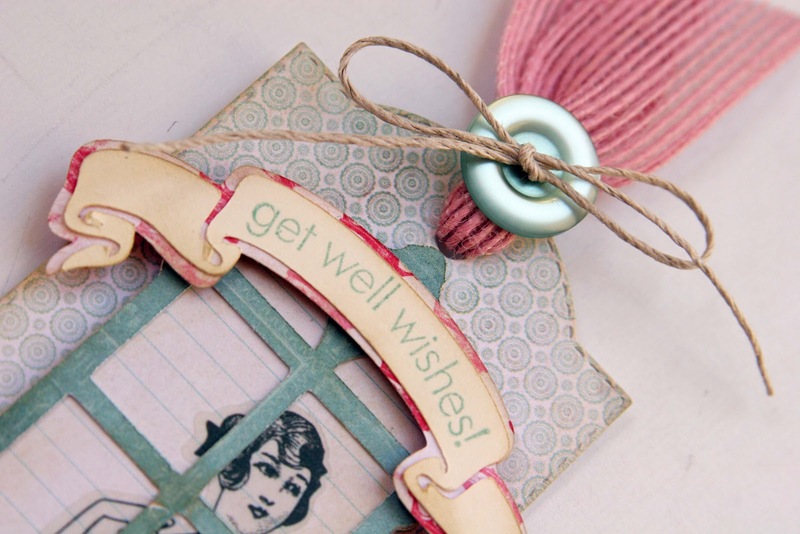 Liz's Paper Loft: Monday Hop with EAD Designs ~ Get Well Tag! 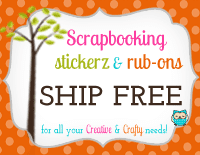 Happy Monday Paper Lovers! I hope you had a FABULOUS weekend! Mine was really nice, just never long enough! :) Anyway welcom to EAD Designs Monday Hop! You should have arrived here from Lauren's blog! I just know that she has something special to share with you! 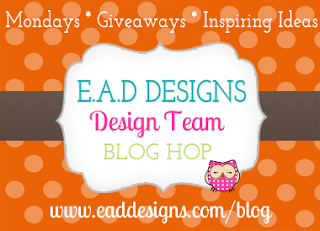 If you just popped in to see me, please head over to EAD's blog for the start and leave a comment along the way. That way you're eligible for this week's giveaway too! Today I decided to make a video of my cute little tag! Wow it's been so long since I've made a video! Arrg, I've forgotten how much I say "ummm", I thought I broke that habit! Anyway, even though I can't stand how much I say it, I do love my cute little tag!!! I love the way she is looking out the window! This is so beautiful Liz!!! 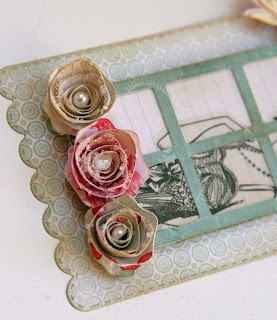 Love the tag and the beautiful flowers! Oh my gosh Liz, this is gorgeous! What a beautiful design and such pretty paper. Fabulous! what a grand idea! I love this tag! Beautiful! Thank you for sharing. Oh Liz, this is fabulous!!! 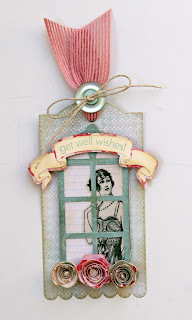 I love the sticker you used and the beautiful framed out window:) So pretty!!! Gorgeous flowers! That Tag is so Beautiful. Love the roses and the window looks awesome. Your tag is STUNNING, Liz! 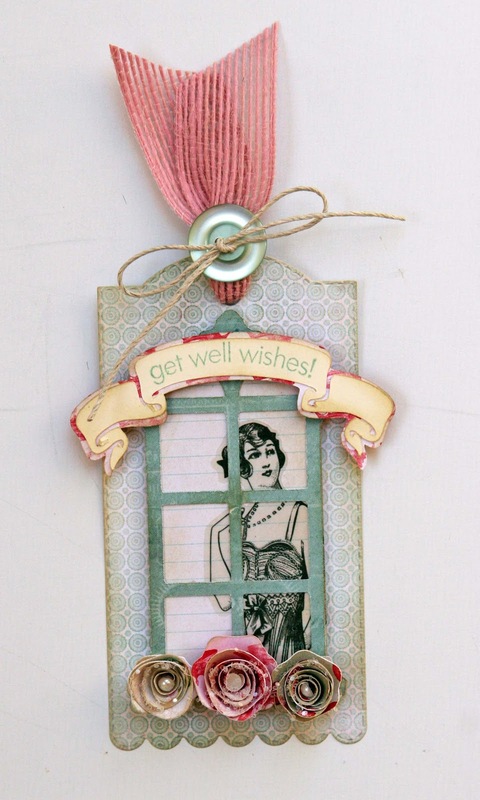 Really beautiful with the window and your gorgeous flowers! Loving that pink jute!!! Liz ~ your tag is just GORGEOUS! I LOVE the subtle colors you used! I am so glad to see you making videos too! I have missed them! Of course I LOVE all the embellies ~ especially the ones from your boutique! FABULOUS tag! This is so pretty! 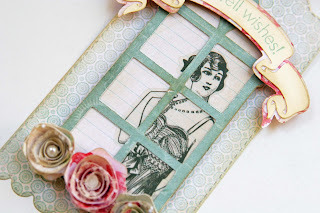 I like the vintage lady peeking out the window and the jute/button/hemp--I like everything!